The West Liberty-Salem Big Orange Cross Country program hosted the 41st Annual BOSS Summer Run at Lions Park in West Liberty on Saturday, August 18th. Thank you to our 2018 Race Sponsors, Reliant Mechanical Inc. & Big Orange Shoe Shop! 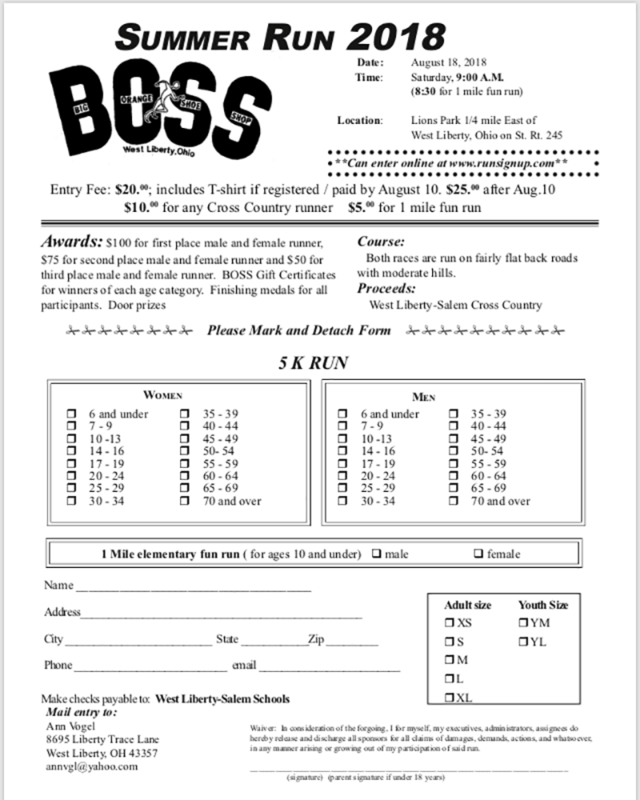 The 41st Annual 5K BOSS Summer Run & Big Orange 1 Mile Fun Run will be held Saturday, August 18th, 2018 at Lions' Club Park. A 5K race in the rolling West Liberty countryside and a 1-Mile Fun Run for kids 10 and under. 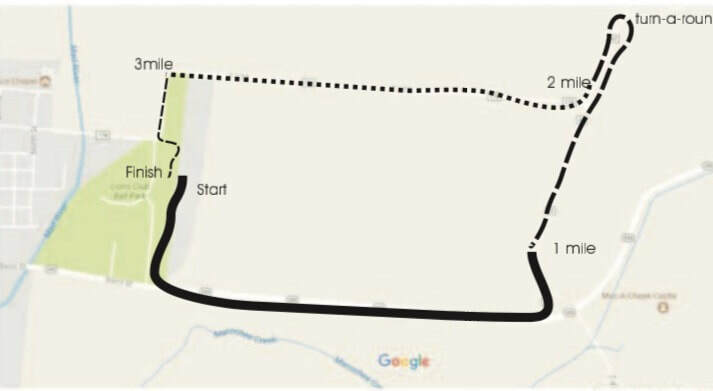 Race starts and ends in Lions' Club Park. The 1-Mile Fun Run will begin at 8:30 a.m. and the 5K will begin at 9:00 a.m.
Cash prizes for top 3 male and female finishers and race medals for all participants. Male and female age group winners receive gift certificates from the Big Orange Shoe Shop. Great door prizes and food provided by the West Liberty-Salem Cross Country Parents. Entry fee is $20 if registered before August 12th and $25 after August 12th. Entry fee for the Fun Run is $5 All proceeds benefit the West Liberty-Salem Big Orange Cross Country program. ​Or download and submit this Registration Form. ​Race day registration will start at 7:30 a.m.